Appliances and electronics are an essential part of the home that significantly increase quality of life. Appliance set-up and installation--whether it’s for the kitchen or a new washer and dryer--can be difficult even when done properly. When not done correctly, it can be inconvenient, costly and cause significant damage to the entire home. 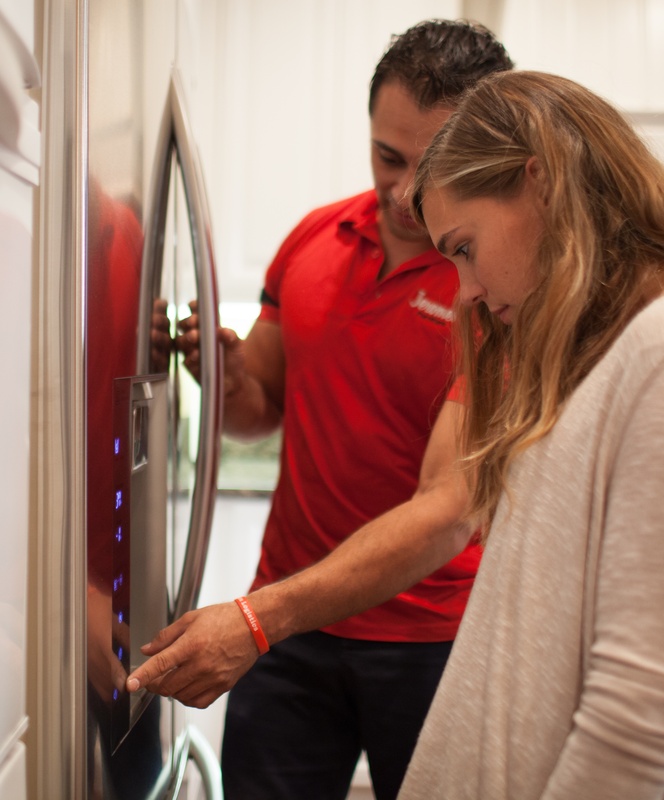 Diakon specializes in installation and set-up of appliances to remove the headache and risk that can occur post-purchase. Whether the final destination is a commercial job site or a private residence we offer a comprehensive solution so that your customer isn’t inconvenienced multiple times to receive a delivery and manage an installation--ultimately leaving them to coordinate with multiple vendors for the same purchase. Using a single solution is more cost-effective, convenient and reliable. Complex installation: If the product your customer purchased from you requires a more complex installation – we can do that too in various regions. Complex installs include alterations to the existing location of the appliance; installing new electric, gas, or water lines; carpentry work for an existing location for the new product; or carpentry work for built-in items, such as refrigerators, ranges, and ovens. Solutions may vary depending on region and requirements. Contact us today to find out how we can help. Proven to Succeed. Trusted to Deliver. When you partner with Diakon we become and extension of your brand and company values. When your operational objectives change or your business grows we change and grow with you to offer the best solution for each scenario. From figuring it out to getting it done, we’re here to help.